We celebrate our differences and diversity through how we structure our academics, curriculum, activities and programming. We embrace, value and recognise that the kaleidoscope of personalities, talents and cultures is the foundation of our community and cannot be found or created anywhere else. Whether through PTSA sponsorship, teachers chaperoning school events or High School students mentoring Elementary students — each facet of our school is ready to help and support each other. 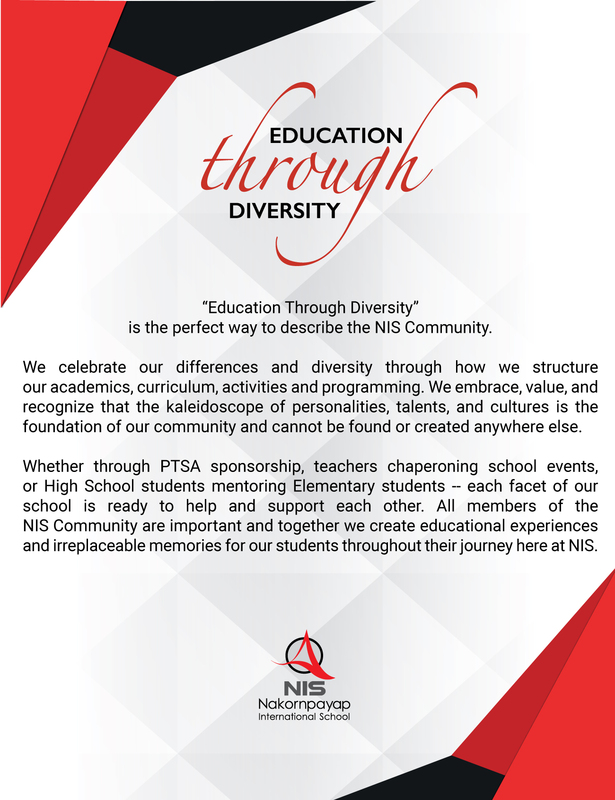 All members of the NIS Community are important and together we create educational experiences and irreplaceable memories for our students throughout their journey here at NIS.